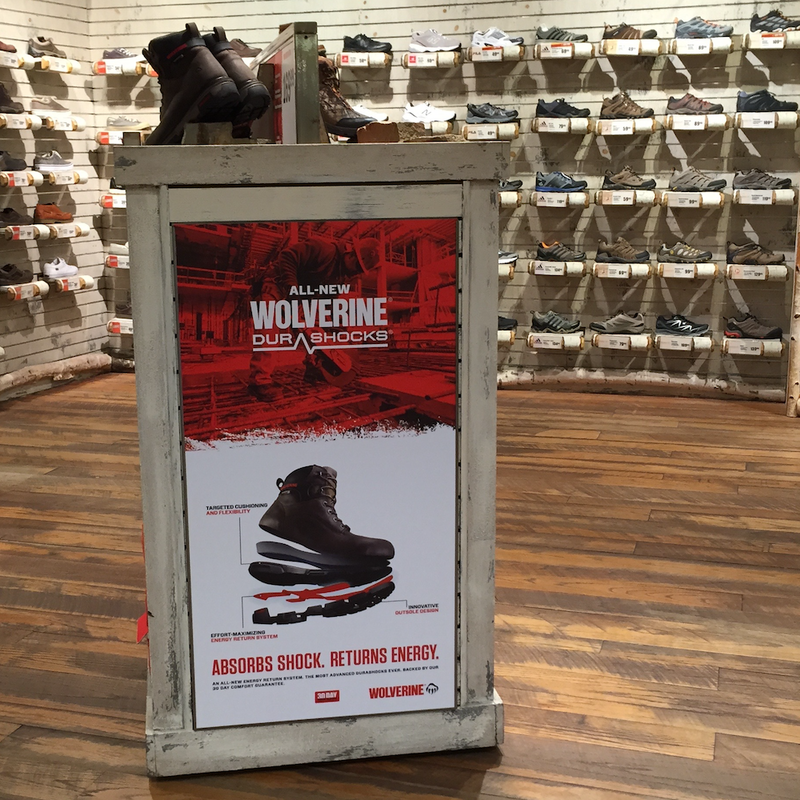 Wolverine, a division of Wolverine Worldwide, is the leader in creating premium work and casual footwear. Sold in nearly 100 countries around the world, they are a brand built on a tradition of success and a history of innovation. 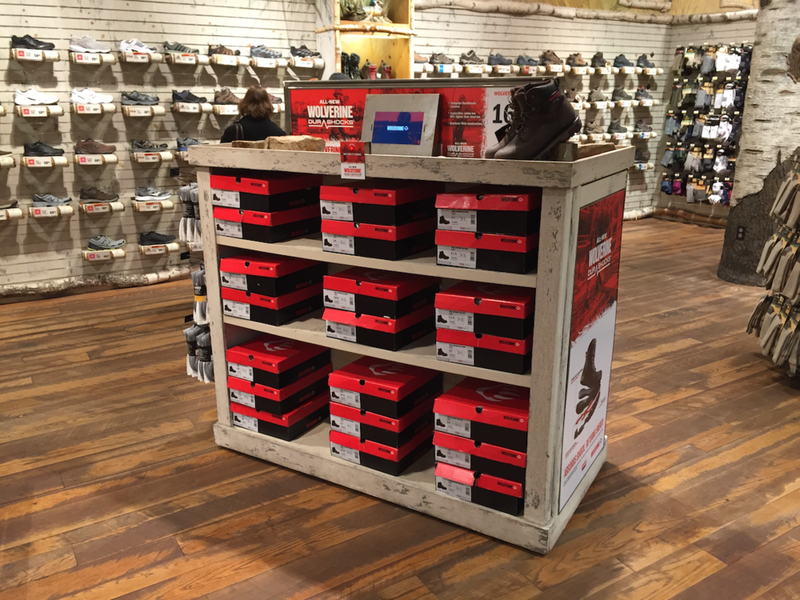 AXIS was selected to collaborate on an interactive gondola unit to increase awareness about new innovative footwear at select Bass Pro Shops. The display incorporates an interactive video allowing the brand to communicate premium messaging around its new products and technologies including EPX, Artic Grip, and DuraShocks. From concept and design, to production and installation, AXIS was able to pay obsessive attention to detail and deliver “great” retail for both the Bass Pro and Wolverine teams.